Word Nerd: Is it advice or advise? If you can remember that advise is a verb and advice is a noun, you shouldn’t have trouble using those two words incorrectly. And another thing: The s in advise is pronounced like a z. The c in advice is pronounced like an s.
So what’s the difference between the two words? When you are telling someone what you think they should do, or if you are informing someone about something in a formal way, use advise. When you are offering guidance or recommendations to someone, use advice. SDA National advises all members to read the SDA Code of Ethics. The chapter president advised its officers to read the chapter bylaws and standing rules. [Language copied from SDA’s white paper template. In the last sentence, I switched out “recommended” for “advises.”] The contents of SDA White Papers are considered the opinion of the author. SDA does not endorse any products or services mentioned, and SDA does not assume responsibility for any circumstances arising out of the interpretation, application, use or misuse of any information presented. SDA advises the reader to consult the appropriate legal, financial or human resource counsel before implementing information contained herein. Let me give you some advice: Don’t sweat the small stuff. Just worry about what you can control within your circle of influence. SDA members are tremendous source of information, and they can offer business advice in the areas of HR, finance, project management, marketing, and general office administration. I need your advice on the projector you think we should buy for the office. Committee and serves as the 2019-2020 Seattle Chapter Vice President. Word Nerd: Is it Assure, Ensure, or Insure? There is a difference between assure, ensure, and insure. In my experience, the more troublesome words are ensure and insure. Ensure has to do with making sure something’s going to happen or not; insure has to do with purchasing some type of insurance to recoup some loss of something. Assure means you will promise something. I know I haven’t attended the last two Membership Committee meetings, and now that my workload has lightened, I can assure you that I will attend next week’s meeting. You said we gained two new members last month for a total of 40 members in our chapter. I can assure you that’s not correct, and here’s why: Even though our membership list shows those as two new members, I checked and HQ said it has not yet received their membership fees. So they are not official members until HQ receives their payment, which may or may not happen this month; thus we only have 38 members in our chapter. The company announced the new phishing button will be installed within the week. “We want to ensure that employees have an easier way to report suspicious emails, and the PhishAlarm plug-in from Microsoft Outlook will do that for us. It will forward the message to our IT Service Desk and auto-delete the message from the employee’s inbox,” said the company’s president. To ensure we increase our chances of gaining more chapter sponsorship, Jim has agreed to reach out to all of his associates in Washington. Before we hold the A/E/C Scavenger Hunt, we should insure the Board of Directors for up to $100,000. Now that HQ has a permanent location to work from, please insure the building with extra hurricane coverage. For more about these words, Merriam-Webster is a good place to start. Bonus info! 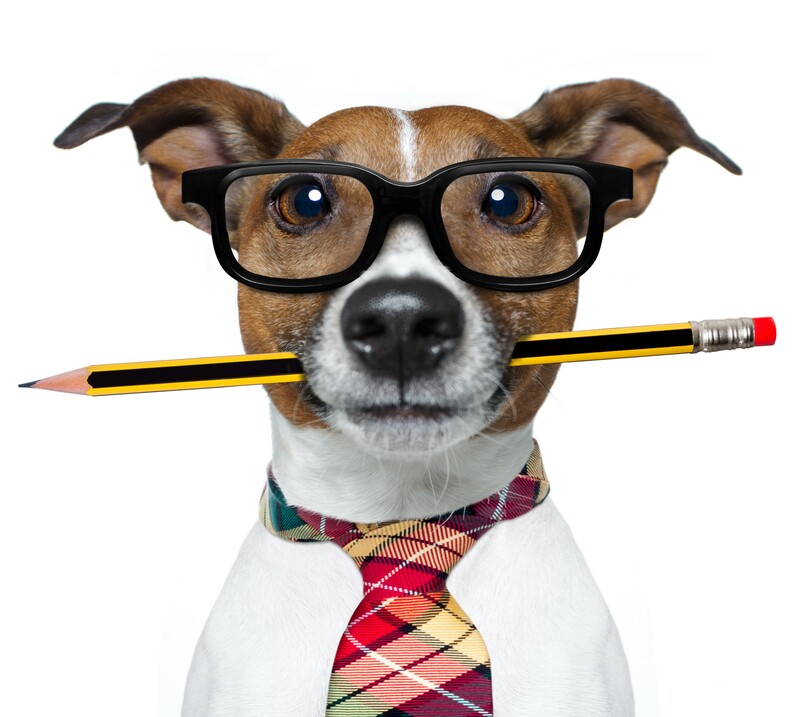 Did you know that two of these Word Nerds are on the red flag list, according to AXA XL (formerly known as DPIC - Design Professionals Insurance Company)? Back in the day, SDA handed out a bookmark (from DPIC) that said, “Think twice before using any of the following red flag words in your contract!” Assure and ensure are on that list. Have you ever read something that was misleading due to inappropriate context? We often overlook mistakes in professional correspondence because some words are rarely identified by the common spellchecking program. These errors result in negative consequences for the writer and sometimes the organization represented. 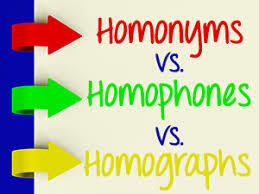 Homophones, homographs and homonyms are culprits that will wreak havoc unless you understand how they work. The root –phone means “sound,” as it does in telephone and phonics. They are words that sound the same, but have different meanings and are spelled differently. The root –graph means “write,” as it does in autograph and telegraph. Homographs are words that share the same spelling, but have different meanings, and are sometimes pronounced differently. The root –onym means “name.” You hear it in synonym and antonym. Homonyms are two or more words that share the same pronunciation, but have different meanings, regardless of the spellings. Can you identify the homophones, homographs and homonyms? The principle complaint by the principal is that he got bored during the Board of Directors meeting. To him, it took too long to read a two page report. The secretary, dressed in red, read and emphasized every minute detail about the minutes. After the minutes were read and approved, the principal soared from his seat and hit a wall! Now he’s in the hospital, broken and sore. Since everyone else displayed patience and common sense, they now visit him in the hospital with all the other patients! Make sure you “yous” the “wright” homophones, homographs and homonyms to communicate effectively! Do you have an idea for a future Word Nerd topic? Share it in the comment box below! Word Nerd is a quarterly feature created by members of the SDA National Membership Committee. Special thanks to Gloria Jackson, CDFA for this quarter's topic. Gloria is the Office Manager for Christy/Cobb, Inc. in Birmingham, Alabama. Word Nerd: When to Use e.g. or i.e. Think of the i at the beginning of i.e. as standing for the first word in the phrase “in other words,” indicating that the clause that follows will rephrase or explain what precedes the term. It is not used for a list of examples, it is used when you want to explain what you just said in a different way. I.e. narrows down and clarifies a statement. I’ll listen to anything; i.e., I like any kind of music. After work, I’ll walk over to that new sports arena (i.e., The American Airlines Center). E.g. 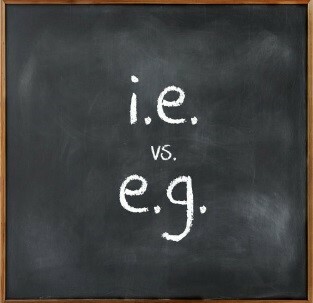 is a little more straightforward since e stands for exempli meaning “example.” Use e.g. when you give one or more possible examples. E.g. opens up more options. I’ll listen to anything (e.g., country-western, rap, light jazz). After work, I’ll walk over to a sports arena, e.g., The American Airlines Center, Victory Court or Mile High Stadium. It is always correct to simply write out, "for example," or "that is." Since these are abbreviations, they do require a period after each letter. Both e.g. and i.e. are presented in lower case when they show up in the middle of a sentence (i.e., like this). You can use parentheses or commas with both. To indicate a separate clause, you can either insert a comma before "i.e." or "e.g." or you can use parentheses. If you use parentheses, open them right before the "e.g." or "i.e." and close them after you have given your example or alternate definition. Examples of both are above. Word Nerd is a quarterly feature created by members of the SDA National Membership Committee. Special thanks to Brooke Simcik, CDFA for this quarter's topic. Brooke is the Business Manager of VAI Architects, Incorporated in Dallas, Texas and currently serves as the SDA National Vice-President for the 2017-2018 term.